Tuna is a frugal staple since it’s a great source of protein and it can be purchased so inexpensively, especially if you find a sale or a coupon. Tuna is a great heart healthy food and it’s right in Omega 3s. It’s low in fat and carbs but as mentioned above, it’s very high in protein. Plus it’s so easy to make meals with since it’s already cooked and ready to go! But Tuna Sandwiches can get old after a while and it’s fun to mix it up with something new. 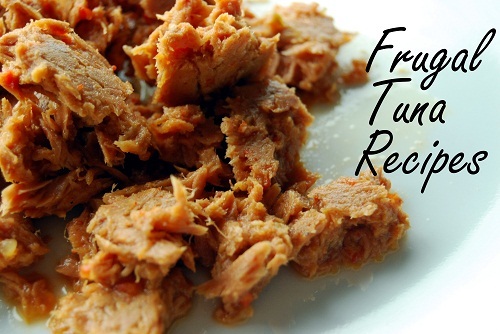 Here are a few new frugal tuna recipes that you can add to your routine. Mix all ingredients together like a salad, serve cold. Mix all ingredients together in a bowl. Serve on burger buns or bread. Mix the ingredients together in a large bowl first. Then pour into a 9×13 baking dish and bake at 400 degrees for 20 minutes or until bubbly. Mix all ingredients together in a large bowl (other than pita pockets). Cut the Pita Pockets in half and scoop the mixture into each pocket to make an easy to eat meal. As you can see, tuna can be quite versatile! Another nice thing about tuna is that many dishes that you make it in are cold dishes and don’t require heating up your house to make, so they are perfect for hot summer days when you don’t feel like cooking! What is your favorite inexpensive tuna recipe to make? 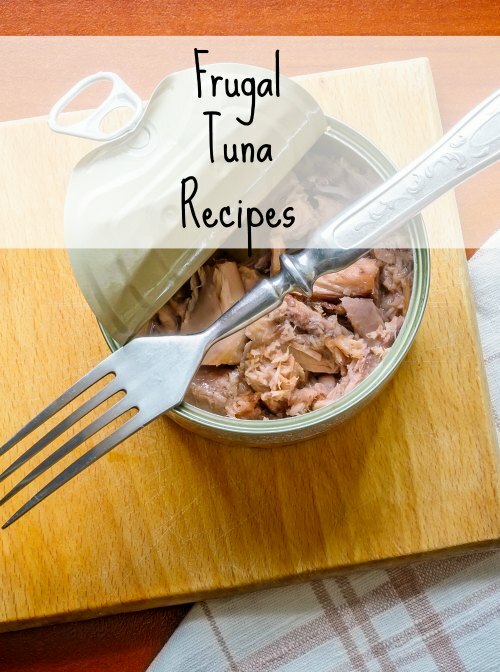 Do you have some favorite frugal tuna recipes?